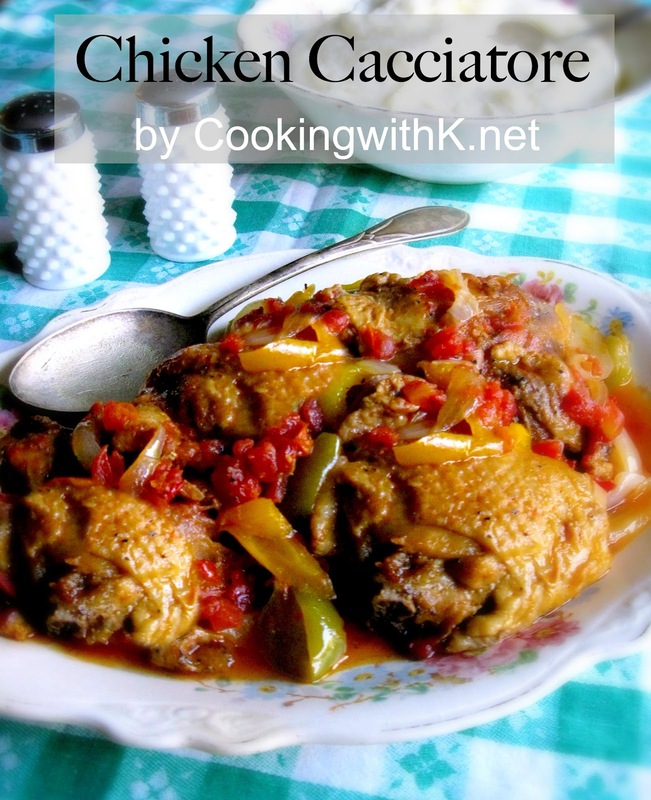 Chicken Cacciatore, a perfect dish to make for any gathering. 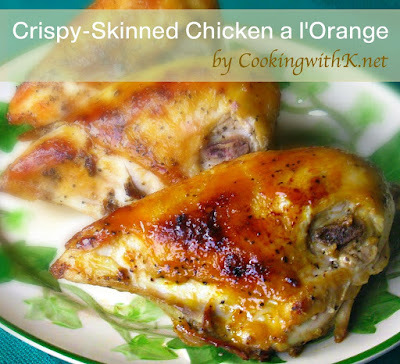 You can use a whole cut up chicken or your favorite chicken parts! 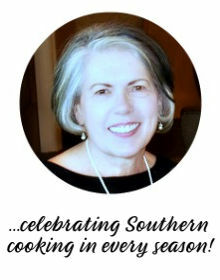 Posting another chicken recipe was not what I planned to do, but here lately we have been eating out of the freezer, and I had several whole chickens, chicken thighs, and breast from buying them on sale. I usually take the month of February, basically to clean out the freezer from lost food items that somehow get pushed to the bottom of the freezer. Well, this is just what happened in this case. Chicken Cacciatore seemed to be the perfect dish to make using one of the huge bags of chicken thighs I found hidden away in the bottom. 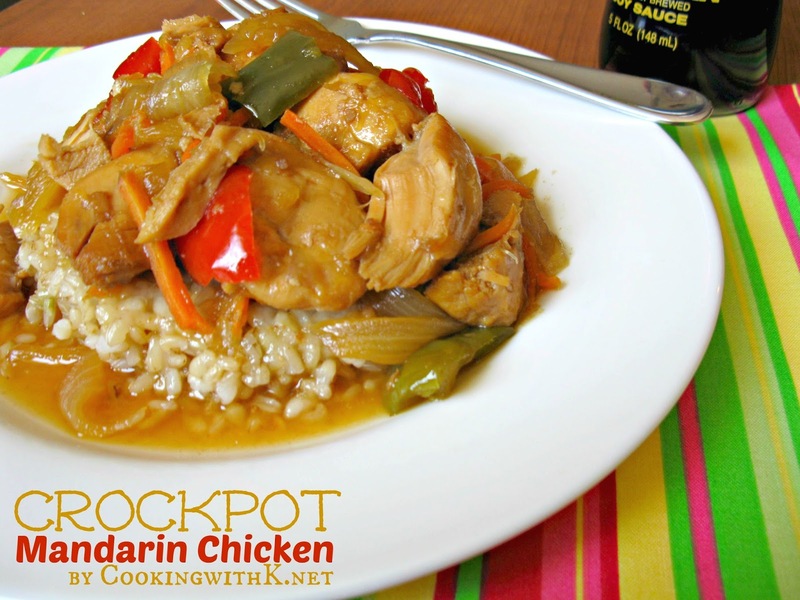 You might ask, what is Chicken Cacciatore? 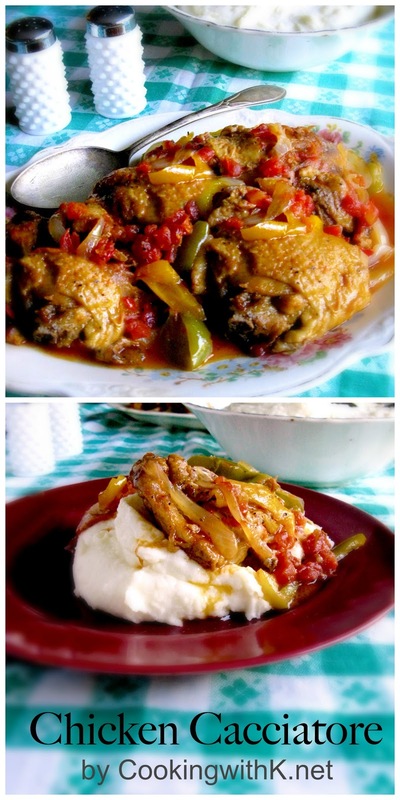 Chicken Cacciatore is an Italian dish that was originally known as a Hunter's Stew, because whatever game the hunters came home with, ended up in the pot, usually a rabbit. I have heard it said that if he came home empty handed, the lady of the house would kill a chicken instead. Yikes, I am glad those chickens were in the freezer. "giggles." Heat olive oil over medium heat in a large skillet. Season with salt and pepper. Brown chicken on all sides in hot oil, about 10 minutes. Remove chicken and drain off excess grease, leaving a tablespoon or two. Add onion, green pepper, yellow pepper, and minced garlic to hot skillet; saute until onion is tender. Stir in tomatoes, wine, coriander, salt, pepper, and bay leaf. Add chicken back to sauce and bring to a boil. Reduce heat, cover, and simmer for about 45 minutes, or until chicken is tender (falling off the bone). Discard bay leaf and serve with hot mashed potatoes or rice. Serves 8-10. 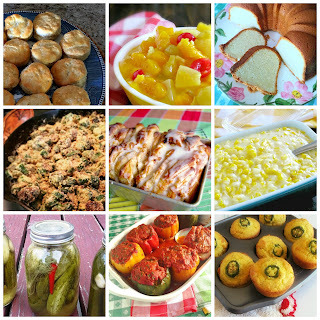 Join me for Meal Plan Monday (Where this recipe is featured), I'm Lovin' It, Foodie Friday, Weekend Potluck, What's Cooking Wednesday and all these fabulous parties! This looks wonderful! I love chicken cacciatore... I've been wanting to make to treat my husband to one of his faves... thank you for bringing to Friday Potluck! Hope you'll also join the giveaway I'm hosting this week! 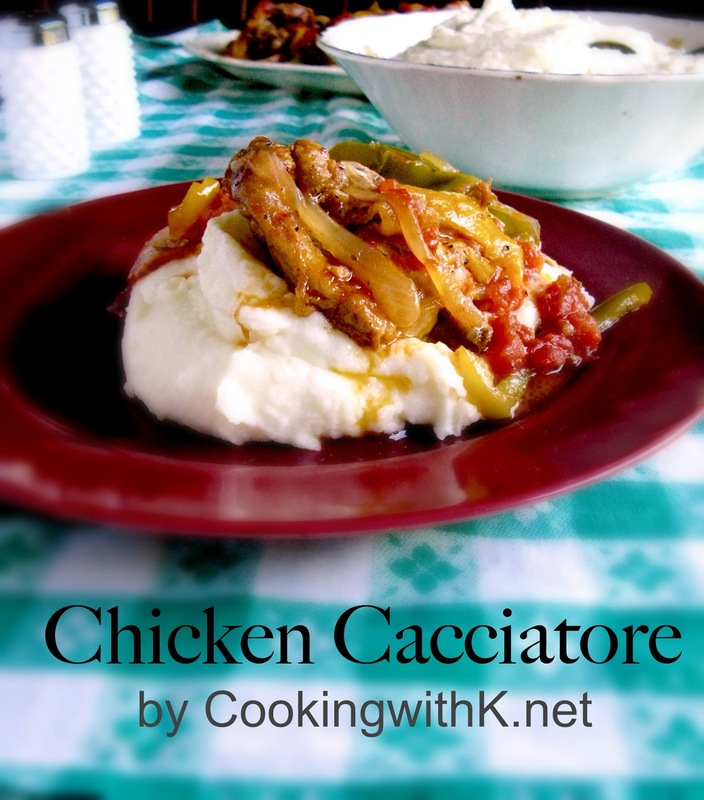 I love chicken cacciatore too, but have only made it a few times I think. This looks so tasty! I am your newest follower. I invite you to visit my blog and follow me if you want too. I need a good chicken cacciatore recipe. Thanks! 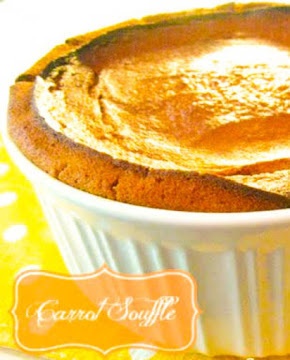 I'd be thrilled if you'd link this recipe up at Tastetastic Thursdays!